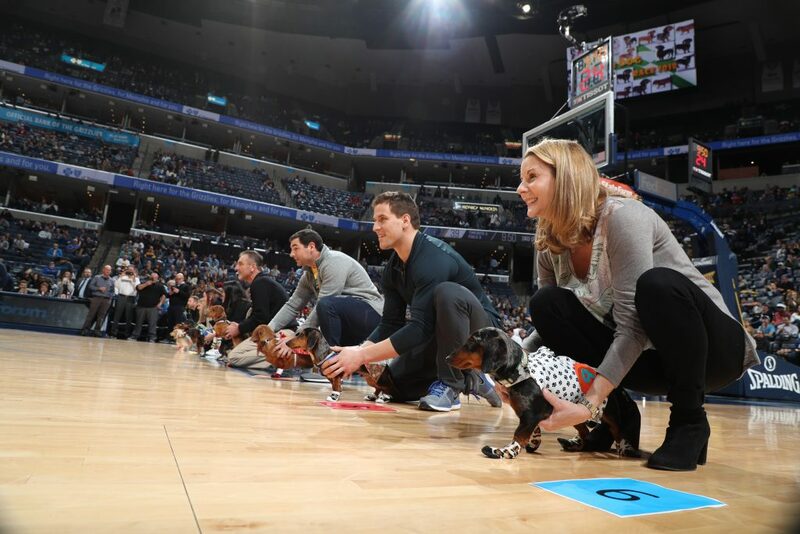 Don’t miss your Doxie’s chance to participate in the hottest dog race in the NBA G-League – the Memphis Hustle Dachshund Dash Qualifiers on January 12, 2019 during the Hustle vs. Legends game. A minimum of 40 dogs will be chosen from the run for the biscuit er… prize during the Memphis Hustle game on Saturday, January 12, 2019. All selected participants will receive two tickets to the Hustle game against the Texas Legends on Saturday, January 12th (value: $24). The top 10 finishers will earn a qualifying bid to the Grizzlies’ 2019 Dachshund Dash Championship race on Wednesday, January 16th. The Rules Deadline for entry is Friday, December 28th at 5PM. Read the Official Rules thoroughly prior to filling out the entry form below. Also, note that Dachsunds must be pure bred but AKC registration is not required. All participants must be able to provide a copy of vaccination and ownership records prior to participation in the race.